Ever wondered when is the best time to visit Hawaii in terms of cost or availability? Or how long most visitors to Hawaii vacation in the Islands, where they go and where they come from? Here is some interesting data about Hawaii travel trends. According to research done by Flipkey, Honolulu, Hawaii’s state capital on the island of Oahu, is the overall #1 destination of Hawaii travelers, followed by Kihei on Maui’s south shore and then Waikiki on Oahu. The graphic below will also tell you the top destinations by party size and cost. The most expensive area to vacation in Hawaii according to this research is the Wailea-Makena region on Maui’s south shore and the least expensive Pahala in the Big Island’s Ka’u District. Couples (parties of 2) are the most common group size of visitors to Hawaii (45 percent), followed by parties of 4 (19 percent). Hawaii is a popular wedding and honeymoon destination, and one of the peak tourist seasons is around Valentine’s Day. When it comes to cost, the highest average price per night is $397 around Christmas, followed by $372 around Valentine’s Day. The months of June, July and August range between $428-300 per night. 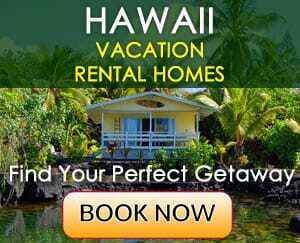 If you are on a budget and are wondering when you can find good accommodation deals in Hawaii, you may want to plan your vacation around the end of April or September. Fifty percent of Hawaii travelers are interested in vacation rentals that range between $100-199 per night. Now you may wonder how many days most visitors stay in Hawaii. According to this research, the average length of stay in Hawaii is 12.4 days around New Year’s Day, followed by 7.3 days in December and 4.8 days in mid-August. The most popular vacation length is exactly 7 days. Where do Hawaii travelers come from? Most are from the West Coast of the United States and Canada. The #1 place of origin is California (19.4 percent), followed by British Columbia (8.5 percent) and Washington (7.6 percent). Thirty-four percent of visitors to Hawaii arrive from international locations. Check out the graph below, which sums up this travel trend data nicely.